Instant puncture repair. 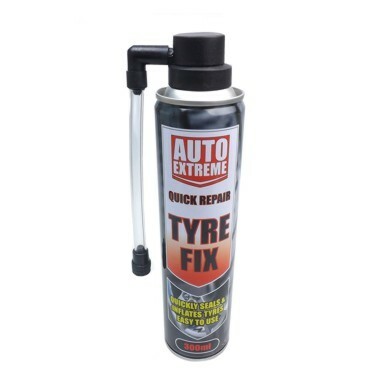 Can be used to when you discover you have a flat tyre, quickly seals and inflates the tyre. Suitable for 1 tyre. Keep it safe you never know when it may be needed.